Sales is an outcome of the efforts put in the right direction to get the products, services, solutions move from one direction to another. 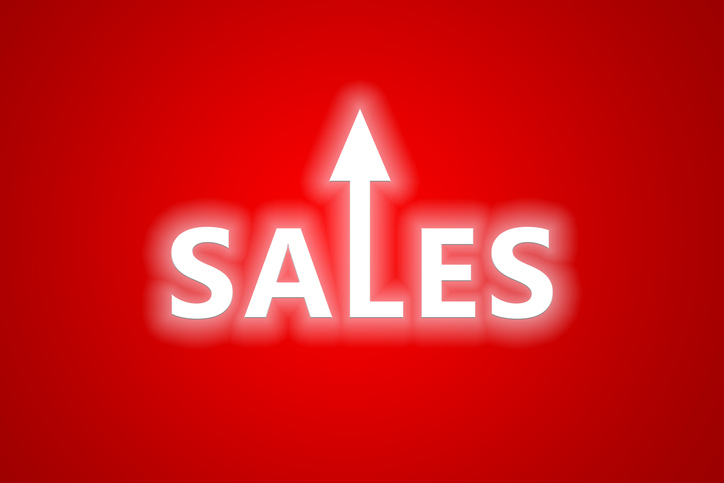 The efforts are a set of approach to make sales easier. Recommending or convincing someone to adopt something which would lead to a monitory outcome is a complete sales process. This is the most important aspect of making an effective prospects engagement to sign-off with a customer. It is nothing but the backbone of the sales. A buyer would look various aspects in buying a product, he will compare it with other products. A seller will showcase his product and introduce its features. He will gather the buyer’s requirement and follow-up with them. It is important to know your prospect, their business, their products, and their organization structure before you connect with them. You can learn about their line of business, their clients and partners. This will give some material to discuss on and make an effective prospects engagement. This is indeed a key to be able to connect with the prospects better. Getting the information from website, LinkedIn, Google and other relevant media. When you start to engage on similar interests or compliment them that is when you break the barrier. And it is a great way to further take the discussion ahead, you begin to build interest. If you start a sales conversation with a question, it is making them to interact with you which is great to begin with too. When you create a spark of interest in the mind of the prospect, it increases their level of engagement with you. That’s when real selling begins. Break the ice by initiating to talk on common interests and appreciate them. There onwards, the discussion becomes wide spread and outcomes fruitful. Talk about your organization, your management, a short brief. One can talk how a company accomplished developing a product, what intrigued the idea and how other business are benefitting across regions due to SalesTrendz. Take them for a walk through of our website, the blogs, case studies, etc. Talk about your existing clients and the industries we are focusing. Talk about your partners as well. In today’s era the need for technology is important. It helps to make the work happen faster with increase in efficiency and accuracy. Discuss about the emerging software/programs and the trend in the digital world. Here is where you can pitch SalesTrendz with a technology perspective. Are they tech savvy? What accounting software do they use? Do they have a cloud solution? Are they willing to or capable to adapt to sales force automation? These are the questions to address. Sometimes we are so enthusiastic engaging with the prospect that we tend to speak before the prospect completes his say. Being enthusiastic and interrupting the customers does not mean that you are knowing more of the prospect. This is important. The prospect on the other side should have a feeling that they are being valued. Their needs and requirement are being looked into. So by writing notes you tend to connect better and understand the prospect better. Smile and nod your head, make an eye contact when communicating or listening to them. The other main thing is to carry a note pad and note down their queries. Not only will they highly regarded but you also can refer it anytime later. This is important. Invite people from their team to have a look and feel of your product. Access to the owner or the CXO may not be easy at times. So having connects with the other team members of that organization makes the journey easier. They can be one point of contact for you. Maintaining good relationship with people never goes waste. These are the people who could help you connect with the top-notch of an organization. Instead of showing the working from a screen, either install the App on their devices and help them navigate through it. This way they will have a hands on of the product and better understand it. This will instil a curiosity in them to examine the product and know how user friendly and hassle free it is. Better understanding means better credibility. If prospects do not attend your calls don’t just leave it there. Get your team/ colleagues to connect to them. Use other platforms like email, WhatsApp, Linked In to share case studies to them. Show interest in the content they post. Engagement and responsiveness are crucial. People want to be heard, but more importantly, they want to know they have been heard. A recap of the discussion sense that we have understood the prospect’s requirement and are very much clear on their requirements and our deliverables. It would help them recollect and visualize at once the benefits that they can lay their hands on. While giving a recap, tell it like a story. And moral of the story could very well be figured out by them that is to implement to SalesTrendz. During the discussion we commit to certain aspects which fall a part of the negotiation and discussion. We need to ensure that they are fulfilled. Deliver whatever is asked by the sales people. Hand over the brochures and your visiting card, and one point of contact for them. Fix the next meeting if and when asked.